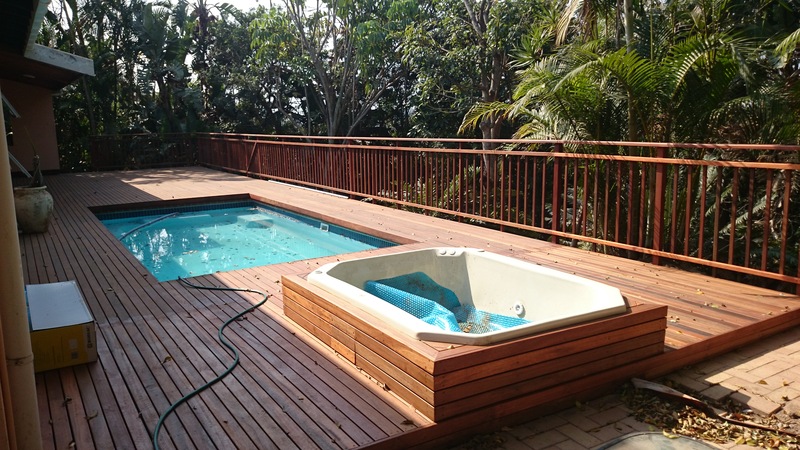 A wooden sundeck is a valuable extension to your house in that it is relatively cost-effective whilst still increasing the living area and total coverage of your property. If properly installed and maintained it will give you many years of warmth and enjoyment and you will retain the value of it when ultimately selling your property. 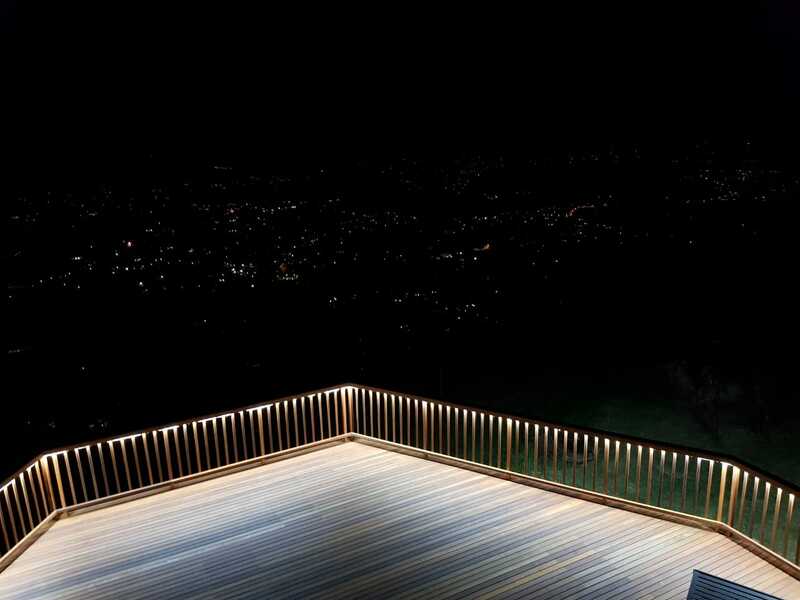 It is more cost-effective than brick, concrete or steel and with the trend moving towards sustainable and green building, a sun deck, sourced from sustainable forestry will retain its value for many years to come. We generally use CCA treated pine in our substructures as it is a lot more cost-effective than using balau and we are still able to offer a 50 year supplier guarantee on the timber used in the substructure. This is provided we document the build with photos, retention records from the treatment plant, the date and invoices of when we bought the timber etc. As a rule we build in accordance with their criteria for the guarantee, but if a guarantee is required, we must be notified beforehand so that we can obtain these documents during our build. We use balau deck boards on the surface of the deck because they are infinitely more stable and do not warp or twist as much as balau. This is not as important in the substructure because it is largely covered from the sun and the pieces we use are a lot thicker so don’t warp or twist as much. Deck boards on the other hand take the full brunt of the sun and tend to warp more quickly. 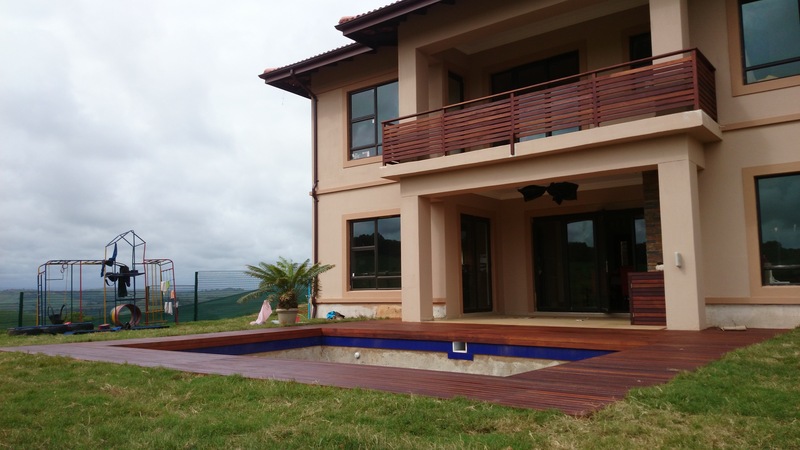 Also we source our balau at very competitive prices and can therefore build a deck at very competitive prices, even compared to using pine deck boards. Pine deck boards are much softer so one has to use twice as much wood negating the cost saving by using a cheaper timber. The structural pieces in balau are more expensive per cubic metre than pine so using a CCA treated substructure reduces the cost which we pass on to the client. We use kalgard screws which are guaranteed by the supplier against rust for 25 years, we counter sink them and close the holes using an epoxy and saw dust mixture to match the colour, thus eliminating water ingression through the screw holes thereby reducing rot at the screw hole. 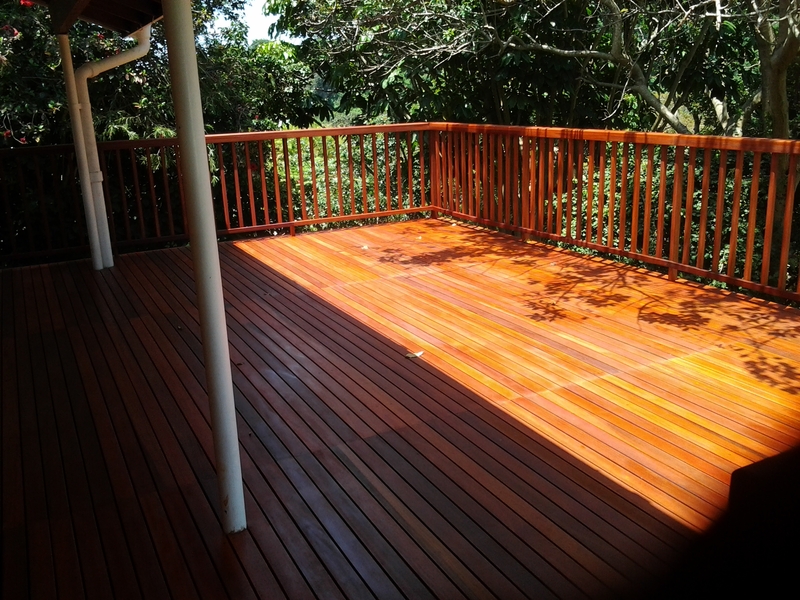 They are sanded flat and we seal our decks using an oil based sealer which penetrates the timber rather than leaving a coating or film on the surface. Maintenance is therefore easy and inexpensive. You simply wipe clean the timber, clean any greasy marks off with turps and re-apply using brush, sponge, cloth or spray. For some expert advice or a quote, please contact us on 031 – 762 1795 or complete the contact us form below.